Exactly 222 years ago, on October 6, 1789, Versailles Palace, or Chateau de Versailles in French, ceased to be the residence of the French monarchy. Since 1624, the Versailles Palace witnessed several wars, the tumultuous times of conquest of the New World, and the French Revolution. This is the story of this magnificent palace and the people who shaped its history. 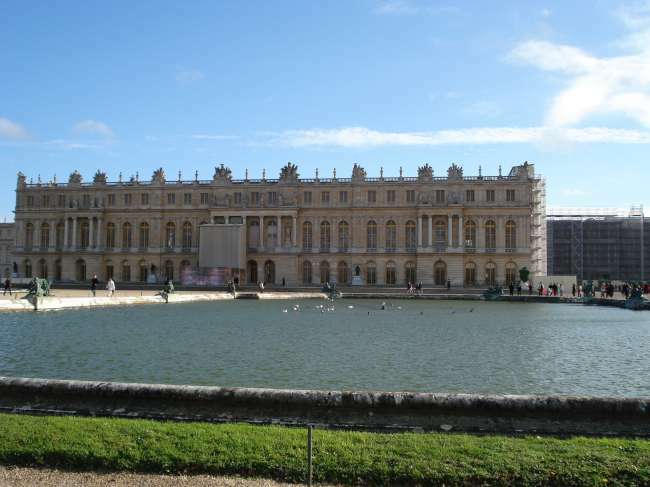 The Versailles Palace was built in the 1620s as a hunting lodge for King Louis XIII. He had been earlier invited several times to hunting trips to this area by a man by the name of Albert de Gondi, who had purchased Versailles earlier. King Louis XIII became very fond with this area and his hunting expeditions and decided to build a palace there in 1624. Later on, the king took control of the entire Versailles area. France`s next king, King Louis XIV took great interest in the lodge and decided to significantly expand it. In 1661, Louis XIV commissioned Andre le Notre to design and build the gardens of Versailles. It took forty years to complete work on the garden. He intended to move the seat of government from Paris to Versailles to liberate himself from the nobility and to centralize his power. There were government offices and housing for government officials that were required to keep the government operating. Such moves were not uncommon among monarchs. Indeed, history is filled with such examples since the times of the Pharaohs of Ancient Egypt. The construction of the palace was interrupted by three wars. It is interesting to note that the interruptions were necessary as King Louis XIV insisted that his entire royal family and cabin be moved with him to the battle field. The first of these wars, in 1667, is known as the Devolution War, in which France attempted to take over Flanders as well as the Spanish Netherlands (present day Belgium) in compensation for unpaid dowry for his wife from the Spanish royal family. At first, their surprise attack on the region gave the French the upper hand and it seemed that the whole region would fall under their control. Spain, unable to fend off the French offensive, entered into a triple alliance with England, Sweden, and the Dutch Republic. This served as a deterrent to France, and the French conceded the Spanish Netherlands, but kept several cities in Flanders, as agreed upon by the Treaty of Aix-la-Chapelle signed in 1669. The second war to interrupt the construction of the Palace of Versailles was the Dutch-French War of 1672. After isolating the Dutch Republic (otherwise known as the United Provinces) politically, the French decided to attach them. This was primarily in response to their betrayal during the War of Devolution a few years earlier. The Dutch tenaciously fought off the French tenaciously. When the English joined the French in a naval battle against the Dutch, the Dutch temporarily invaded New York City in the New World (which was the former Dutch colony of New Amsterdam), which in turn, convinced the English to withdraw from the war. The war ended in 1678 with France gaining significant territory from the Dutch under the Treaty of Nijmegen. Politically, France suffered from the war as several former French allies withdrew from France as they now viewed her as an expansionist nation. After a construction period lasting 10 years, and much of the palace built in the form recognized today, France plunged into another war in 1688. This war was known as the War of the League of Augsburg, also known as the Nine Years` War. Threatened by France`s growing power, a wide coalition of European monarchs, including King Charles II of Spain, Anglo-Dutch King William III, Holy Roman Emperor Leopold I, Victor Amadeus II of Savoy, and several princes of the Holy Roman Empire attacked France in 1688. Most of the fighting was centered in the area today known as Belgium and Netherlands. Exhausted financially, all nations decided to solve the conflict diplomatically and resulted in the Treaty of Ryswick in 1697, where France conceded some territory in exchange for peace. Construction of the Versailles Palace resumed immediately up until 1710. Most of the construction in this time concentrated on the royal chapel. Five years later, King Louis XIV died and was succeeded by the next Louis, King Louis XV. King Louis XV and his successor, King Louis XVI did not contribute anything significantly to the palace. 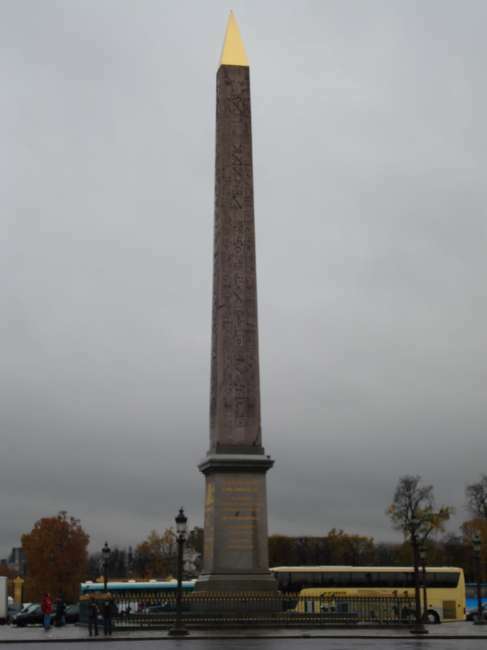 They merely completed the projects that have been started by their predecessor, King Louis XIV. On October 6, 1789 the monarchs in Versailles Palace were forced to abandon their palace as a result of unrest and the march of protesters on the palace. The riots were over high prices and the unavailability of basic food items. The rioters soon broke into an armory and headed towards Versailles Palace. After besieging the palace for one day, the protesters forced King Louis XVI to return with them to Paris to meet their demands. It was one of the first events that marked the beginning of the French Revolution. Soon after, most of the furniture of the palace was auctioned and sold and plans to turn the palace into a museum were started. The proceeds of the sale were used to fund the debts of the new Republic set up by the French Revolution. The condition of the palace continued to deteriorate until 1804, when Napoleon established France as an empire and his wife, Marie-Louise, took residence in the palace. The planned museum in the Versailles Palace was abandoned. 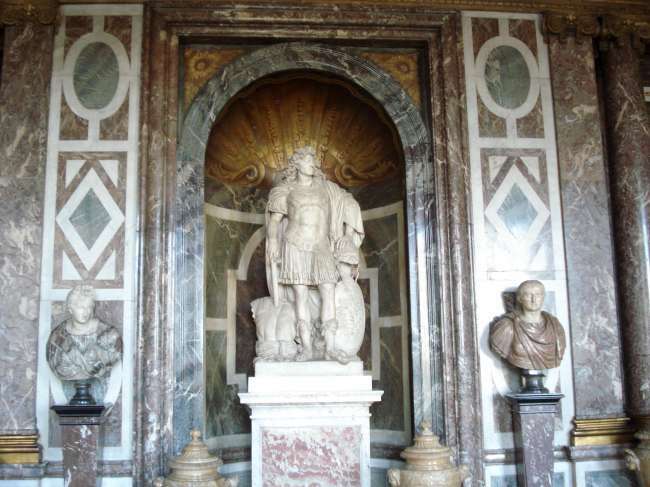 The condition of the palace did not change until the time of King Louis-Philippe I. He opened a museum in 1837 that was dedicated to the glories of France. The museum`s operations were essentially expanded over the years to include the entire palace. The palace`s last important historical event was the signing of the Treaty of Versailles in June 28, 1919 in the Hall of Mirrors. This was the treaty that ended World War I. 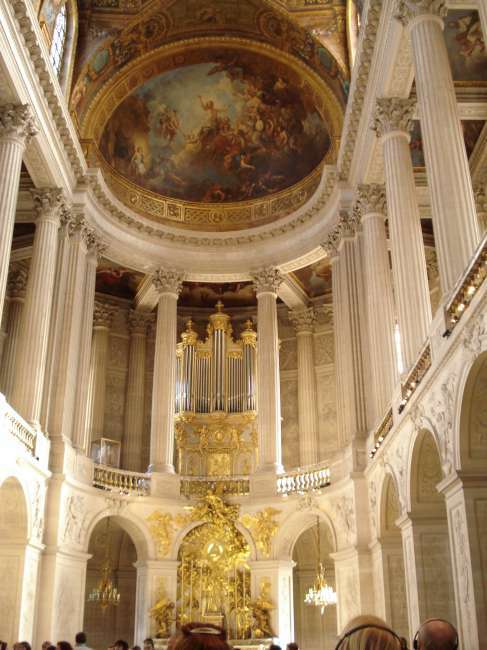 Today, Versailles Palace is one of the most important tourist attractions in France. It features many rooms and buildings. The most important of these buildings and rooms are the King`s Grand apartments, the Hall of Mirrors, the Chapel of Versailles, and the original Museum of the History of France. Other structures around the palace include the Gardens of Versailles and the Grand Trianon. In 1979, the palace and surrounding gardens were declared a UNESCO World Heritage Site. Its walls have been witness to events that have shaped not only French history, but world history. Koen, K., Before Versailles: A Novel of Louis XIV, Random House, New York, USA: 2011.